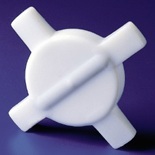 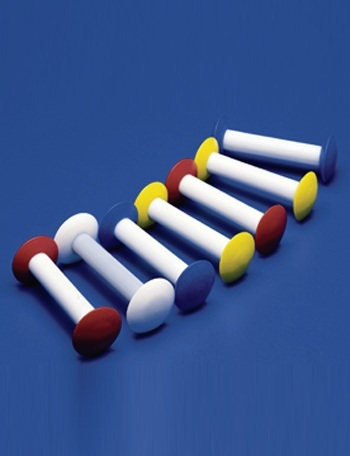 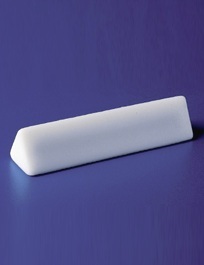 The Spinstar® Star Shape, Spinplus® Cross Shape, Spinwedge® Triangular, Spinbar® Saturn, Circulus® Barbell, and the Floating Iman are popular magnetic stir bar solutions for a variety of mixing needs. 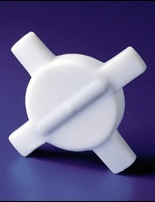 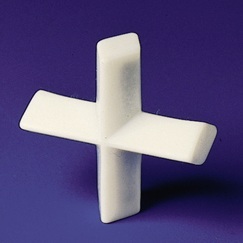 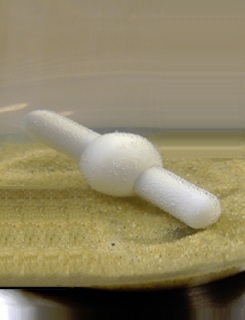 The Spinstar® Star Shape is very effective at low speeds in beakers, Spinplus® Cross Shape establishes a vortex going to the bottom of a vessel and is very quiet and fast, Spinwedge® Triangular cross-section churns up settled substrates to insure complete mixing, the Spinbar® Saturn is good for blending in powders without getting stalled, and the Circulus® Barbell is suited for high density solutions, fluid suspensions containing metal particles, and round or convex bottom vessels. 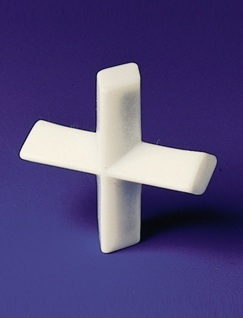 The Floating Iman is designed for low constant speed stirring, the floating stir bar minimizes the grinding damage in tissue culture applications.